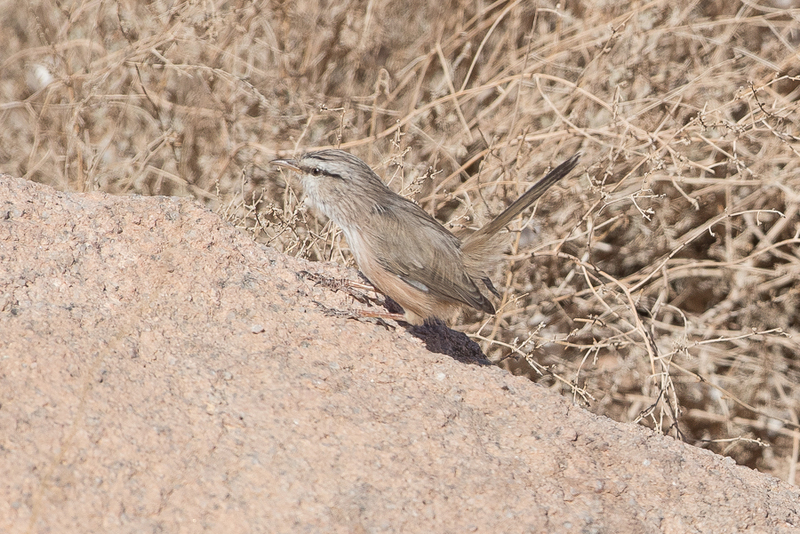 On 7 October Phil Roberts and I went to Jebal Lawz, about 200 kilometres outside Tabuk, to look for Chukar Partridge. We git there before first light and waiting to try to hear any birds calling. 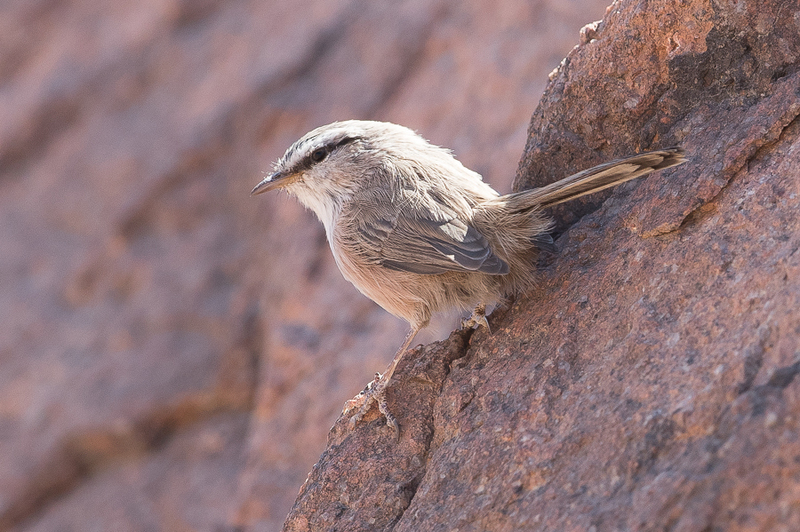 The site is very remote and as a result is very quiet so hearing calling birds should have been easy. 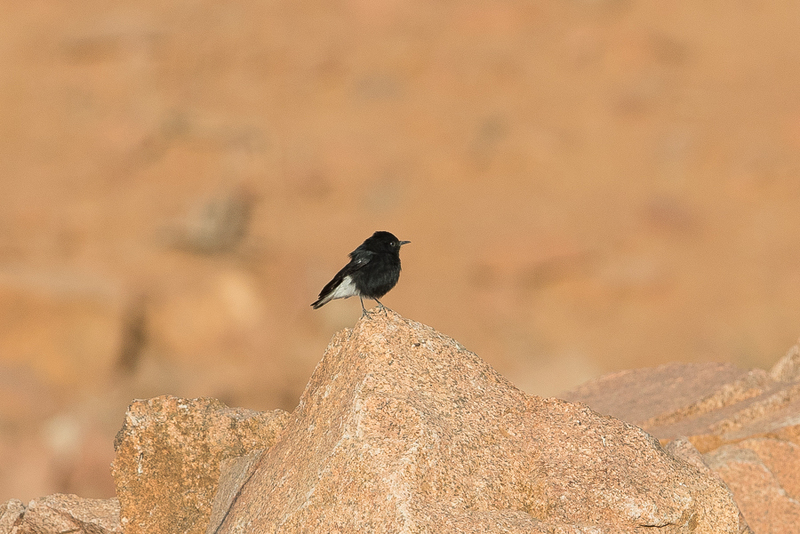 In reality it was very difficult, made more so by the closed and locked gate across the road preventing access to the top of the mountain where birds had been seen before. 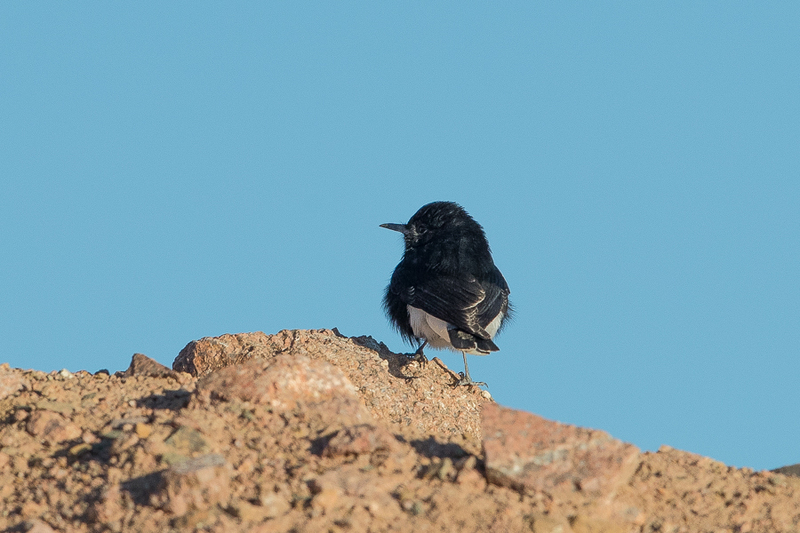 We did eventually hear birds calling lower down the road, but they were high up on a rocky mountain. I eventually saw two birds calling from this high cliff face but the distance from the birds was huge and the views poor. We stayed around for almost ten hours trying to hear or see the birds again but without luck. 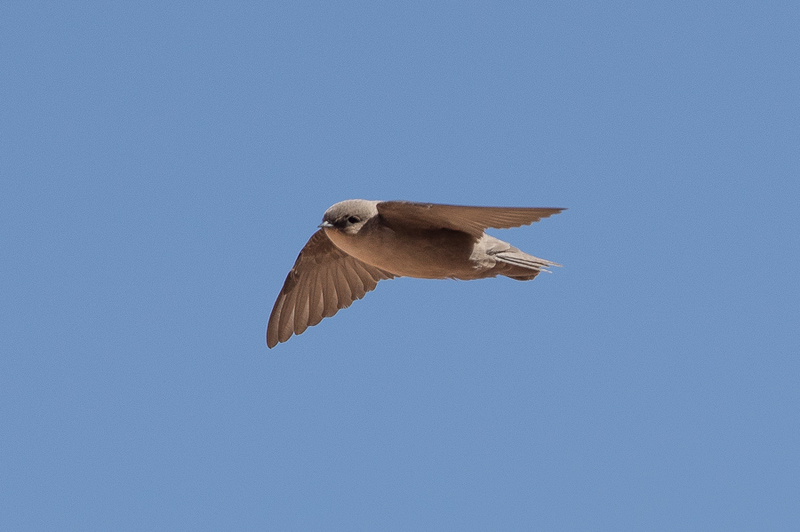 Bird life was very limited in the area and we only saw a few species including White-crowned Wheatear, Montagu’s Harrier, Common Kestrel, Rock Dove, Desert Lark, Tristram’s Starling, Lesser Grey Shrike, Pale Crag Martin, Scrub Warbler and Sinai Rosefinch.